Finding an Istanbul property for sale is something thousands of investors are looking to do with over 12,000 properties in Turkey sold to foreign buyers in 2013. Purchasing the right Istanbul property for sale can offer excellent opportunities for both rental returns and capital appreciation, not to mention lifestyle options for those buyers looking for more sun and relaxation. 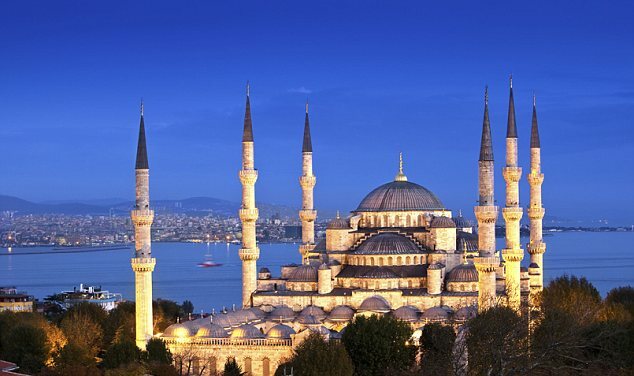 Istanbul is Turkey’s largest city with close to 15 million inhabitants and growing by the day due to its focus as the country’s business, cultural and historical hub – with demand to find an Istanbul property for sale high amongst migrants, investors and lifestyle buyers. With many of Istanbul’s population under 30 new commuter towns are springing up in the suburbs, and former shanty town areas are being replaced with luxury Istanbul apartments and off-plan Istanbul villas. Sourcing an Istanbul property for sale that meets your requirements takes time as there are now so many exciting options for Istanbul property – but it is wise to get to know Istanbul’s districts first so you can make an informed purchase. Nisantasi, part of the Sisli district, is a good place to start your search for an Istanbul property for sale. Much like London’s Knightsbridge, Istanbul property here is expensive with luxury residential apartments and high-end brand boutique shops. An entry level 2 bed Istanbul apartment would be around £250K. 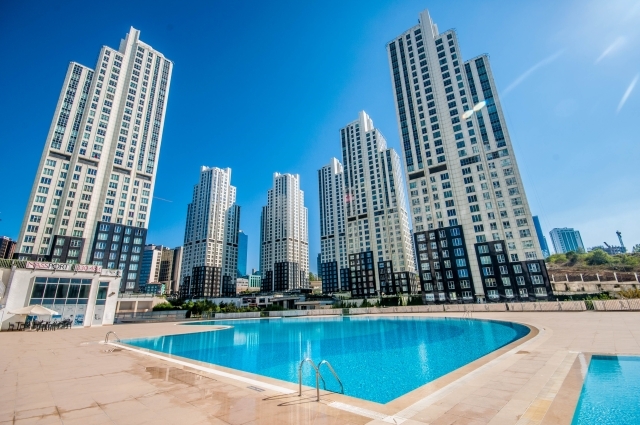 For slightly less, in downtown Taksim, a luxury 2 bed Istanbul apartment can be found for around £180K with a possible rental return of £1400/month. And then there is Galata – Istanbul’s arty district – with newly renovated listed buildings now changed to luxury Istanbul apartments. Galata is undergoing something of a regeneration but buying an Istanbul property for sale here would make a sound investment – even in the short term. It is relatively easy to rent out a property in Istanbul both long term and short term due to the city’s vast workforce and sizeable student population – someone is always looking for a home. So whilst it may be true to say that there are thousands of new Istanbul properties for sale and they are fairly easy to rent, it is also a truism to say that you must choose the right area if you want to maximise your capital gains. 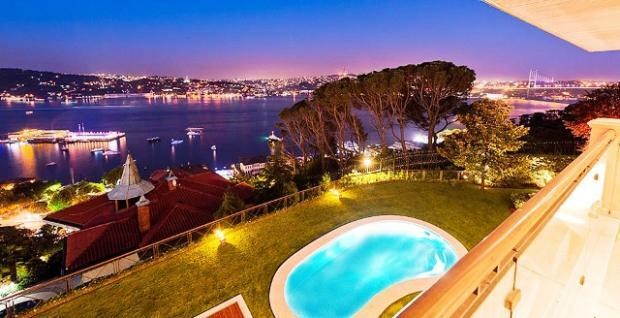 Hot areas for Istanbul properties for sale include Bosphorus districts that offer a sea view such as Beylerbeyl – the heaven of sea side mansions. Situated below the Anatolian pedestal of the Bosphorus Bridge this area is not just close to the sea but awash with flora and fauna making it one the most sought after locations for searching for Istanbul properties for sale. Cengelkoy is another key district located along the Bosphorus coast famous for its tea gardens and fish restaurants – if you look here for Istanbul properties for sale you might find one of the old wooden houses. But the sparkling diamond of the Bosphorus must be Bebek. Look around Bebek and you will see palaces and classically styled villas and also some very contemporary architecture that showcases some of the most desirable Istanbul properties for sale in the city. Another sought after district along the Bosphorus is Arnavutkoy – located between Kurucesme and Bebek – used to be a fisherman’s village. Today, Arnavutkoy has Istanbul properties for sale that include luxury apartments beside seaside mansions and the old pier. Purchasing Istanbul properties for sale in any of the Bosphorus districts offers huge potential as an investment – even more so should Turkey eventually become a full member of the EU. Istanbul holiday apartments can be booked for as little as EURO250.00 per week but why not own one yourself? As Turkey continues to attract foreign investment – with Istanbul being the major recipient – there is a substantial demand for Istanbul property with lots of options. All sorts of Istanbul holiday apartments are available to rent or buy from simple 1 bed units to sensitively renovated and elegantly decorated Istanbul apartments in the main cultural districts such as Galata. Location is important so perhaps the best areas to look for Istanbul holiday apartments are in the Beyoglu and Galata areas – which enjoy close proximity to Taksim, Pera, Istiklal and Cukurcuma. Being here is to experience life in the very heart of Istanbul with a plethora of museums, art galleries, cinemas, theatres, cafes, restaurants and bars creating a cultural and vibrant atmosphere. Istanbul holiday apartments located in Galata are right in the mix of Istanbul’s bohemia with the area frequented by artists, intellectuals and writers in amongst ordinary people for a real neighbourhood feel. Nearby is Cukurcuma with its proximity to quiet, winding streets filled with antique shops – where you can wander further on to Istanbul Modern Art Contemporary Art Gallery on the Bosphorus, or visit one of Istanbul’s historic palaces. If you do decide to buy an Istanbul holiday apartment then we can help you to rent it for when you are not there – centrally located Istanbul holiday apartments are in demand and relatively easy to secure tenants for. It is easy to reach Istanbul holiday apartments in these areas with regular shuttle buses running from both Ataturk and Sabiha Gokcenb airports to downtown for around just EURO 5 per person. Or you can take an airport taxi starting from EURO 20. 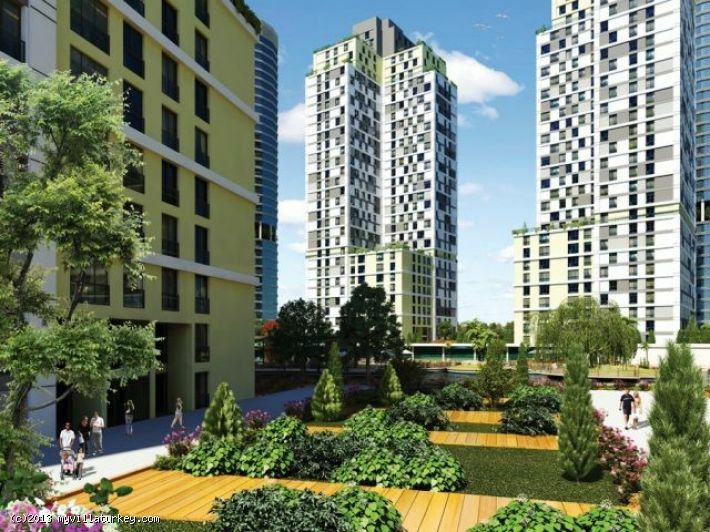 Droves of investors are currently looking at Istanbul apartments for sale. This is not surprising when you consider that FDI investment in Turkey accounted for USD 87.1b between 2007/12, whilst 28% of investment projects started in 2012 came from the U.S (Ernst & Young). Istanbul is viewed as being vibrant yet unexploited – so a perfect time to capitalise on Istanbul apartments for sale. In April 2012 Turkey announced a range of incentives to attract foreign investors including new incentive schemes such as value-added tax (VAT) exemption and refund, export tax exemption, employment insurance and interest rate support. Such measures stimulated the market almost immediately with the General Electric Co. announcing a USD 900m investment aimed towards Turkey’s transportation and infrastructure. This FDI trend will have a positive impact on Istanbul property as developers increase supply of Istanbul apartments for sale in response to demand – with options such as off-plan Istanbul apartments springing up in the commuter suburbs. Turkey’s economic record is solid and was one of the country’s that recovered quickly from the 2009 economic downturn – with the country’s GDP nearly tripling in the last decade. It is no wonder then, that Istanbul property is in a boom period, with luxury Istanbul apartments for sale at a fraction of the cost in Eurozone countries. The area that is currently attracting the most FDI is Turkey’s Business Services sector which has enjoyed a 68% annual rate since 2007 (Ernst & Young). 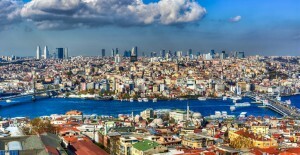 With Istanbul hosting the majority of business services in Turkey, Istanbul apartments are in high demand as local and foreign migration to the city continues. 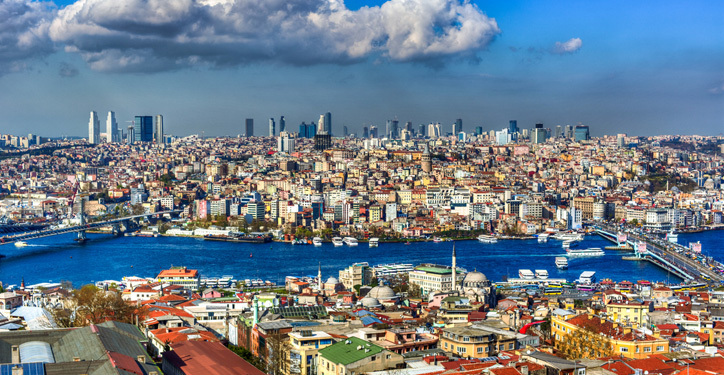 The Vodafone Group have had a headquarters in Istanbul since 2006 with over 18 million users throughout Turkey – another clear indicator that confidence in Istanbul is high with a substantial number of Istanbul apartments for sale increasing month by month. With the Turkish government struggling to keep up with demand, purchasing an Istanbul apartment for sale could be a smart move. 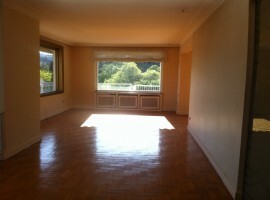 Looking for an Istanbul apartment for sale can reap many rewards. As an investment property, buying an Istanbul apartment for sale in the right location offers high per capita interest in a very short time period. Buying an Istanbul apartment for sale as a holiday home allows you to stay in this dynamic and cosmopolitan city whenever you want – with access to Istanbul’s Blue Flag beaches and the Grand Bazaar. For a short term profit, then buying an off-plan Istanbul apartment for sale at the foundation stage could see you purchasing for between 20/40% off the final list price – meaning if you were to sell upon the project’s completion then you would make a handsome profit. You could also buy an Istanbul apartment for sale in one of the up and coming commuter belts and rent it out to some of the thousands of university students – this would enable you to keep hold of the property for the mid-long term with a view to selling at a good price in the future. Luxury Istanbul apartments are always a good buy as Turkey’s middle class expands and demand for high quality living options increases. With the Turkish government struggling to keep up with demand, purchasing an Istanbul apartment for sale could be a smart move. 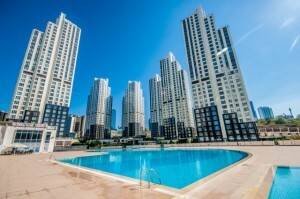 Istanbul 1,2 and 3 bed apartments are ideal for families and are often located on ultra-modern complexes with excellent facilities including swimming pools, fitness centres, shopping malls and cinemas. Whilst 1 bed Istanbul apartments can be purchased for as little as EURO 25K and are ideal as a rental or investment property. The entry price points are very low for Istanbul property when compared to London or Paris. 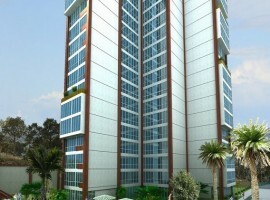 There are over 250,000 new units planned for 2014 offering lots of options to choose from – including luxury Istanbul apartments and off-plan Istanbul apartments. New build houses for sale in Istanbul are a good investment option. 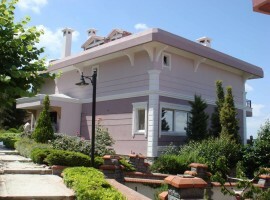 Houses for sale in Istanbul offer a diverse range of options. 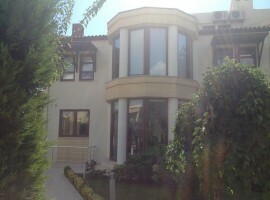 Investment houses for sale in Istanbul Turkey can bring in high per capita gains if located in the right area. There are some exclusive commuter belts opening up on the fringes of Istanbul, with luxury facilities such as indoor heated pools, equestrian centres, indoor basket ball courts and state-of-the-art cinemas. Bespoke houses for sale in Istanbul Turkey can be constructed to a high standard and include many extras such as basement marbled hammams, underground parking and landscaped gardens to your taste. New build houses for sale in Istanbul Turkey are also a very good investment with the advantage of being earthquake proof – many existing properties in Turkey do not have such certification. 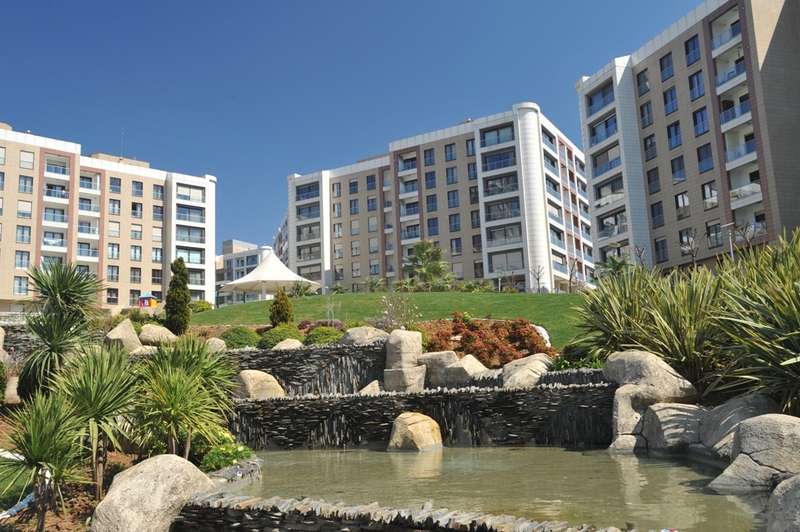 New build houses in Istanbul are normally part of small but exclusive complexes with 24/7 security, proximity to rapid transportation links plus superb on-site facilities such as fitness centres with swimming pools. If you love sea views then Istanbul has plenty of these so look for houses for sale in Istanbul Turkey along the Golden Horn or by the Bosporus – whilst the prices are more expensive (EURO 350 K for a 3 bed Istanbul house with Bosporus views) – the eye catching location more than makes up for it. 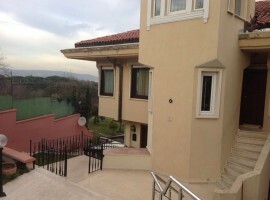 Houses for sale in Istanbul Turkey can also come with large gardens but don’t expect to be in the heart of the city if this is a key requirement – but the suburbs offer many such options with fast transport links into Istanbul centre. With business migration to Istanbul continuing, considering houses for sale in Istanbul to rent out is another option which could subsidize your mortgage and allow you to sell at a profit in the near future. Key neighbourhoods of the city to consider when looking for a house for sale in Istanbul are the modern districts of Beşiktaş, Cihangir, Galata, Karaköy, Nişantaşi, Ortaköy, Şişli, Taksim, Tophane, Tünel and Yıldız. With a recent change in the law it is now far easier for foreigners to purchase in these areas with a glut of new developments offering a wide choice of Istanbul property. When searching for a house for sale in Istanbul a variety of properties can be considered, for instance, traditional historic old buildings which typically have 4 bedrooms for more some with Bosporus views. 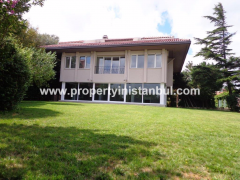 A house for sale in Istanbul can also include luxury Istanbul villas, many of which are located in peaceful areas just outside the city centre often with 4/5 bedrooms, an outdoor pool and underground garage. But is it possible to find a house for sale in Istanbul in the city centre? Our current portfolio includes a house for sale in Istanbul with stunning sea views overlooking the Golden Horn and the Bosporus with 5 bedrooms and easy access to local transport routes – just a 5 minute walk from the famous shopping district Bağdat Caddesi. Or how about a house for sale in Istanbul on the European side in the boroughs of Arnavutköy, Bebek, Hisar, Istinye, and Kuruçeşme? Perhaps the seaside town of Bebek is the most alluring when searching for a house for sale in Istanbul. Suburbs with contemporary shopping malls are proving increasingly popular amongst savvy investors looking to purchase a house for sale in Istanbul – for instance the Trump shopping centre in the Şişli district or the Metrosport shopping centre at Bahçelievler offer all the famous brand names and more surrounded in air conditioned, marbled splendour. When considering a house for sale in Istanbul it is worth looking at such areas near to retail plazas plus local transport routes as the growth potential for your asset can only increase. If you are buying for investment then look for a flat for sale in Istanbul on the outskirts of the city in one of the new commuter towns – that is where you will find numerous off-plan Istanbul apartments available at attractive prices. 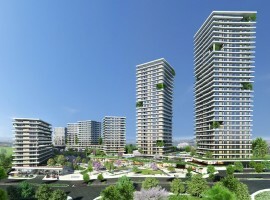 One such area is Bahcesehir – one of the most established and connected new communities with fast transport links into Istanbul central. 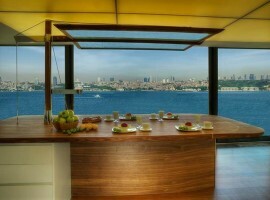 A one bed Istanbul apartment here starts for as little as £40K with 2 bed Istanbul apartment available for around £65K. 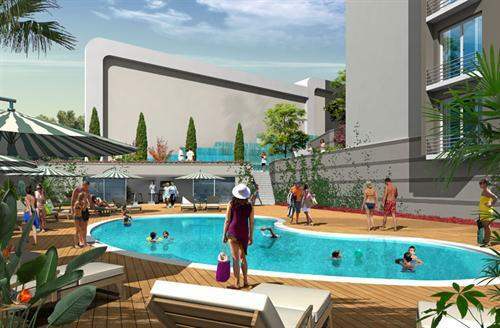 These type of new Istanbul apartments are normally located in self-contained complexes with superb on-site facilities such as shops, cinemas, pools, schools and supermarkets with close proximity to local transportation routes. Other areas to consider, when searching for a flat for sale in Istanbul, include the commuter districts of Esenyurt, Sefakoy, Gunesli and Beylikduzu – with many off-plan Istanbul apartments currently being snapped up by investors. 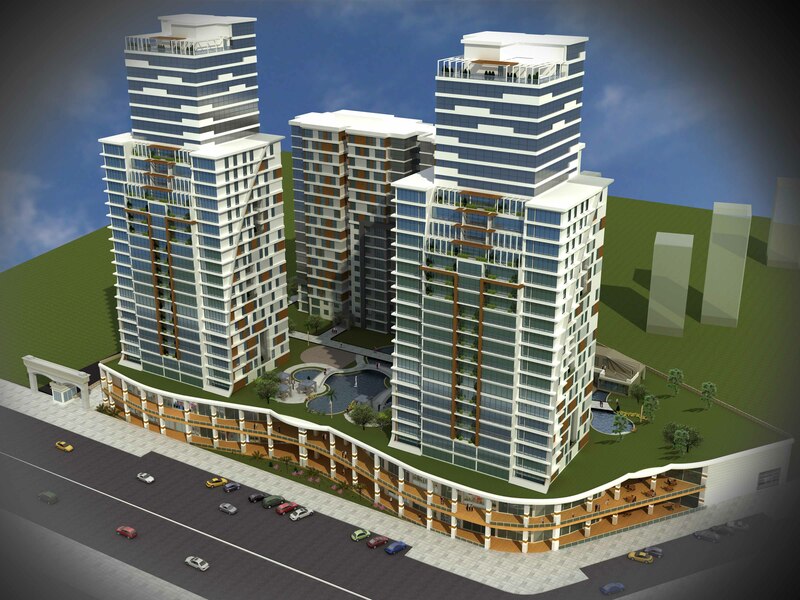 Purchasing a flat for sale in Istanbul centre is also an excellent investment opportunity. Take, for instance, the new Marmaray Project in the Bayrampasa area of Istanbul. 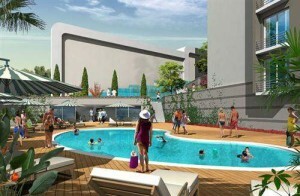 This boutique development offers luxury residences with 2 bed units available at off-plan prices starting at just EURO104 K.
Should a sea view be top-of-mind in your search for a flat for sale in Istanbul then Bebek – which is perched right on the Bosporus waterfront – is the place to look for a luxury Istanbul apartment. For a flat for sale in Istanbul with panoramic vistas then Levant, Istanbul, has lots of new projects including contemporary Istanbul apartments with fabulous facilities – including marbled shopping malls and high end restaurants. 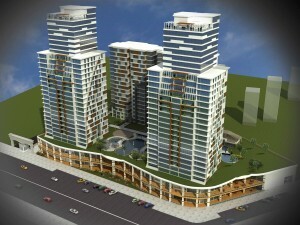 Another in-demand seafront location is the Cihangir district of Istanbul. A trendy and affluent area, a flat for sale in Istanbul, Cihangir will come with unparalleled sea views plus substantial investment potential. Is Istanbul the best performing city in Europe? The market for commercial property for sale in Istanbul is highly active providing excellent returns for international buyers and investors – plus strong demand from local businesses. As Istanbul’s population continues to grow, the volume of business increases and new flight routes make the city even more accessible, many people are now asking if Istanbul is currently the best performing city in Europe? 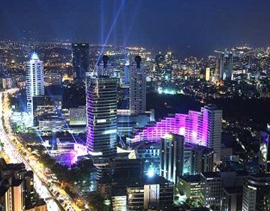 Commercial property for sale in Istanbul includes prime office tower space in key districts such as Levent – with typical internal areas up to and over 14,000m2. Luxury Istanbul offices for sale are categorised as “A” class offices with a prime location in the heart of the city’s business and financial district. This kind of commercial property for sale in Istanbul is suitable for a new business head quarters or for any company looking to expand into the Turkish market. 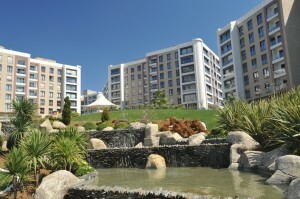 There are also award winning luxury boutique hotels that are included in our commercial property for sale in Istanbul. This type of Istanbul real estate makes for an excellent investment opportunity – with an exclusive location and clientele often enjoying year round high occupancy rates. A key district to search for commercial property for sale in Istanbul is Sultanahmet – where a hotel would be considered a very prestigious property right in the heart of the touristic area in Old Istanbul. Taksim also has much to offer when considering commercial property for sale in Istanbul. There are a number of old buildings for sale right on Taksim Square providing high yield and excellent capital return on investment. This key tourist district also boasts some Istanbul commercial properties with sea views. A key selling point – if using the building as a hotel – is that it would be highly attractive to tour operators arranging package deals for holiday makers. 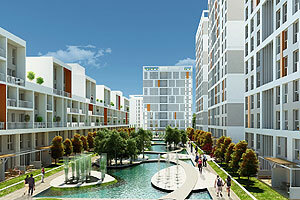 Buy apartment in Istanbul: is off-plan the best option? You want to buy an apartment in Istanbul. But which is the best option? 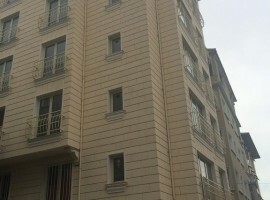 A new build Istanbul apartment? An existing Istanbul apartment or an off-plan Istanbul apartment? 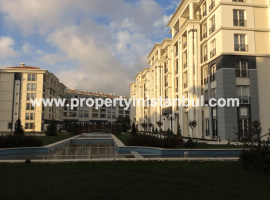 A new build Istanbul apartment has the advantage of never having been lived in before, yes, there might be some snaggings to sort out but a reputable agent or construction company will quickly fix those for you free of charge. An existing Istanbul apartment that is around 5 years old will not have snags to take of but will have been lived in previously, so will still have to be maintained with new coats of paint and so forth. An off-plan Istanbul apartment can normally be purchased at the first stage – as the foundations are being laid or before – for around 20/35% off the final purchase price. This gives the purchaser a potential instant profit in a very short time span – though you must ensure that the construction company are reliable with a track record of successfully completing projects. New Istanbul property is enjoying a boom period at present with over 250,000 new Istanbul apartments planned for construction in 2014 – so there is every opportunity to buy in at the off-plan stage. If buying for rental purposes then a 1 bed Istanbul off-plan apartment can be purchased for as little as EURO22 K and would be ideal to let out to one of the thousands of Istanbul university students. Also available are luxury 1,2,3 and 4 bed Istanbul off-plan apartments starting from EURO67 K . Luxury Istanbul apartments are often located on modern complexes offering state-of-the-art facilities including indoor and outdoor pools plus a health and fitness centre. If buying luxury off-plan Istanbul apartments for investment then a European side location in the city is desirable as it offers the best per capita gains.